or to apply, please complete the form below. We take your data privacy very seriously and will only use your data to support your enquiry. More information can be found in this privacy statement. 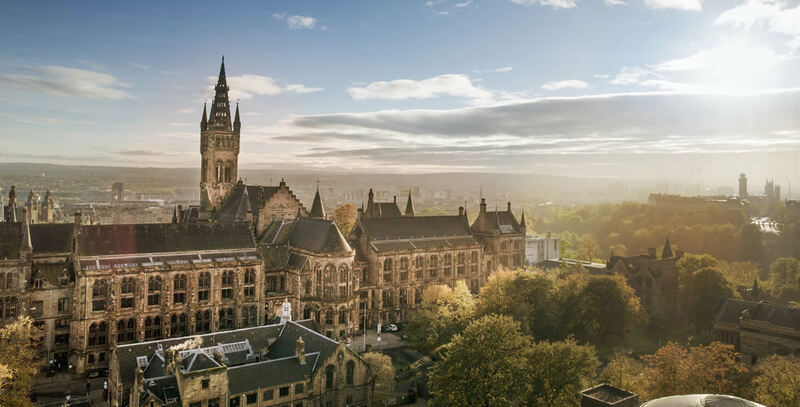 At the University of Glasgow, we dream of a better world and are inspired to help others change it. Study online with us and start changing the world today. For over 550 years, our breakthrough research and world-class teaching has improved the lives of people across the globe. We’ve helped the greatest minds hone their skills, from Ian Donald’s work developing the first foetal ultrasound image to Joseph Lister’s pioneering use of antiseptic in surgery. Our passion for innovative research lives on today in our quest to eradicate rabies in Tanzania and Kenya, in our work to reduce heart failure mortality and in our development of an Imaging Centre of Excellence to drive imaging technology to advance the treatment of stroke, brain tumours and multiple sclerosis. It doesn’t matter where you live or where your career has led you. We’ll give you the space, the support and the online tools to make your career aspirations a reality. A different kind of learning requires a different approach. To bring you closer to the content, the lecturers and your fellow students, our online programmes feature a flexible and stimulating combination of formats including videos, storylines, audio and transcripts. Also featuring live seminars, discussion areas, and multiple web resources, it’s this level of interactivity that sets us apart as a passage to successful learning. Once you’ve started a programme of study, we won’t leave you to it. We’ll always be on hand to help you, all the way through to graduation. You don’t have to set foot on campus to experience our outstanding teaching and cutting-edge research, you can study when and where is convenient. With our online health and education postgraduate programmes, you can further your ambitions without compromising your current commitments. I've found the learning experience to be convenient and flexible. It suits me to participate at a time, and for a duration, that fits my professional and personal schedule too. To find out more about our online courses or to apply, please contact a student recruitment coordinator. Copyright © 2019 University of Glasgow. change your cookie settings at any time.